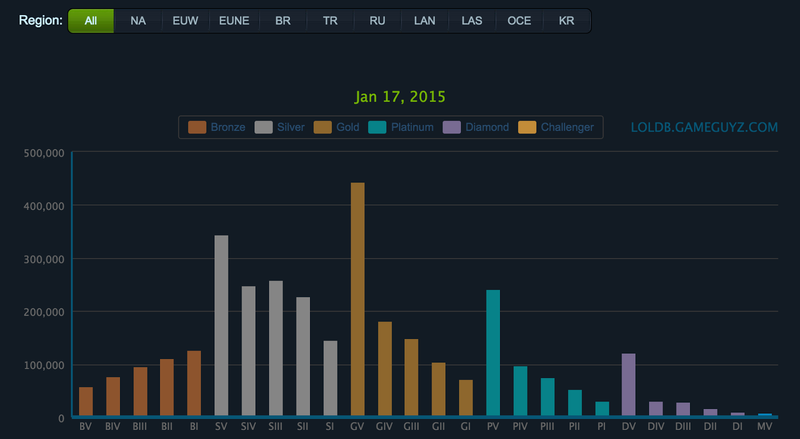 Worldwide League of Legends player distribution. 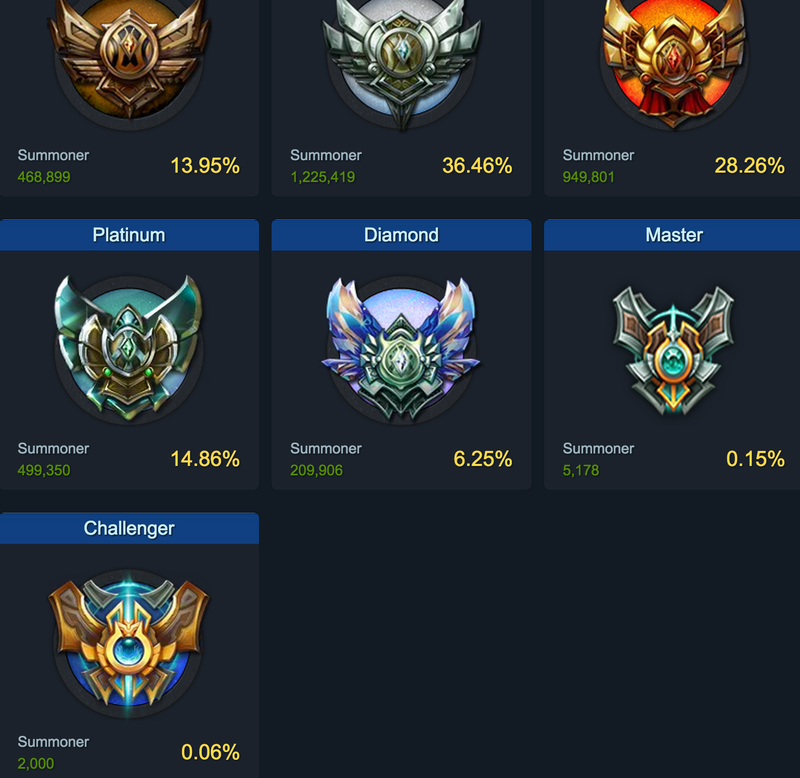 1200 MMR is the average league of legends player. So Riot will do a soft reset pulling everyone towards the average. This means that I get to be matched with and against lower MMR players, who will probably make more mistakes than what I'm used to. To compensate (and win games doing it), I did a little math to figure out a solid build/strategy for early game dominance. Against less skilled players, games are often decided in the first 20 mins of the game. If you can apply enough pressure or demoralize the enemy team, they'll often surrender at this point. My favorite champion is strongest late game (~30-40 mins), so I need to adapt my playstyle/build for the start of the new season. Here's my plan (math included) for doing this. Here's why. Sejuani's damage scales with her maximum health, and ability power. It usually takes a while for her to buy enough items to be really scary though. Early game, she has trouble staying out on the map due to running low on mana (fuel for her abilities that do damage). Stacking Doran's rings gives her extra damage, and extra mana to compensate for her early game statistical weaknesses. Here's some math comparing what we could buy when we recall ~7 mins into the game ~level 5 with ~1600 gold (We should already have our upgraded jungle item). 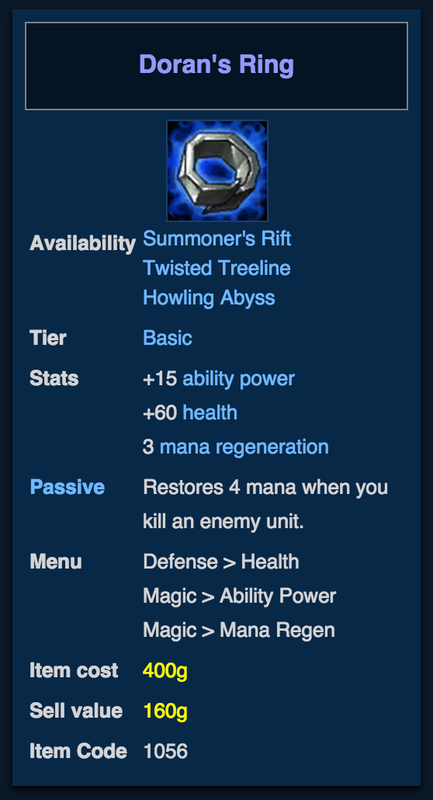 What would you want to buy with ~1600g, to be strongest in the next 5 mins of the game? The idea here, is to get our upgraded machete as quickly as possible since it gives us 30g per large monster kill and a bunch of extra damage/sustain. On our next buy, instead of buying REAL items, you grab 3-4 doran's rings. BECAUSE THEY GIVE US MORE STATS than real items at this point in the game!!! We will have more damage, and due to the mana regen and passive (free mana per unit kill), we should never run low on mana in the jungle. We'll also be using some % max health seals/quints to make the health worth a little more as well (we already talked about why this is smart in a past post). If we buy 4, we're spending 1600g. We can sell these back for 640g, so we're really only down 960g. If we can farm a few extra camps, get a kill or two, or win a tower/dragon after this buy, the Doran's rings pay for themselves.